Used in great shape. Heart rate monitor included. Everything works as new. used a handful of times, good condition. 2018 Oakley mouse pad (True Digital). SWAG ATTACK! SWAG ATTACK! What you see is what you get CAD$10.00 Buyer covers shipping. PayPal friendly. Brand new, never taken out of box headset. Can connect to cell phone, desk phone or laptop computer for conferencing or audio. Perfect for home office or mobile worker. 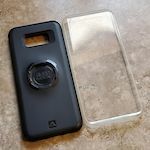 Quad Lock case and poncho for Samsung Galaxy S8+ in good condition. Price includes shipping to the lower 48, otherwise buyer pays shipping. 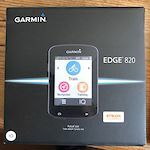 Garmin Edge 820 received new from Amazon and never used. Please let me know if you have any questions. Brand new, unused, still in box Framed Timelead Watch. Thanks for looking! See my other postings. Straps to bike frames, or another other tube like shapes. Then screws onto a universal camera or action cam mount. The pivoting ends make it easy to adjust your camera to angle you need it. Black Topeak Case. Brand new Weatherproof ridecase with ridecase mount. Touch endabled, dirt proof, weather proof. Includes freight. Shimano Flight Deck head. New in the box. This is the display only. 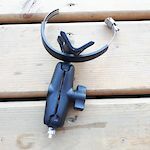 If you have an old one that failed and you have the harness/bracket, then this is what you need. Buyer pays shipping.